I was so thrilled to have been a part of 1st Orosa Nakpil Food Festival by the Malate Business Association, last March. The league of bar owners along the streets of Orosa and Nakpil in the center of Manila's nightlife have come up with an idea to bring back the good ole glory days of the area. 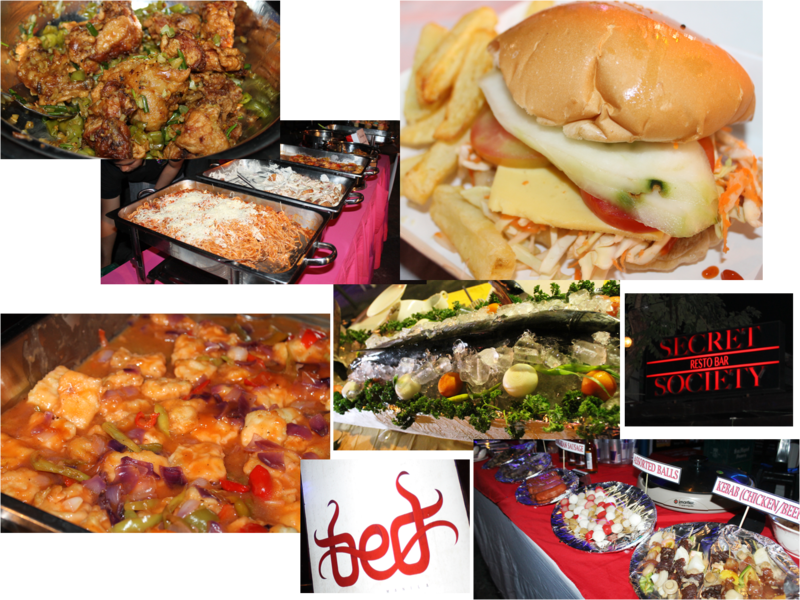 This event is not only for party-goers but most especially for food lovers (which makes all of us)! As what I was told y one of the organizers of the event, The streets of Orosa and Nakpil is the epicenter of all great parties, a famed venue for watering-holes. 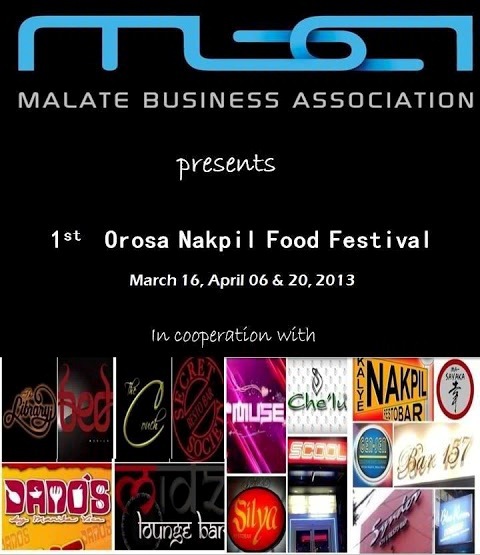 Orosa being the gay's shindig place while Nakpil St. is for the straights (not gays, that is). At those times I was not into partying and drinking so I was a bit off on the topic but when it comes to food then it's my business. This time around the plan to liven up the streets to entice those that used to hang out in the area and those that have never been here by engaging in more events. I was asked to be there by 5 pm but told them I'll be coing at around 7 in time for dinner. When I came, I saw participants still setting up their displays, by the way the place livens up late at night till dawn. I first saw Chef Rosebud Benitez and her pastries being sold. Uhm and might I say the cookies are really yummy. 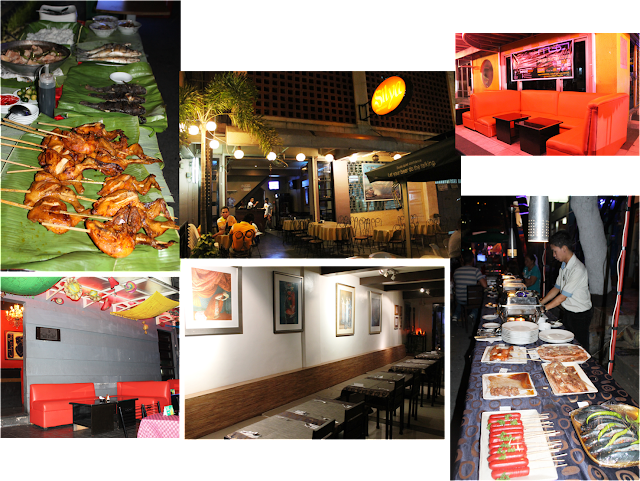 Each bar offers their own specialties and they have invited food concessionaires to add to our choices. It was like a school fair all over again without the ferry's wheel or carousel of coursel. 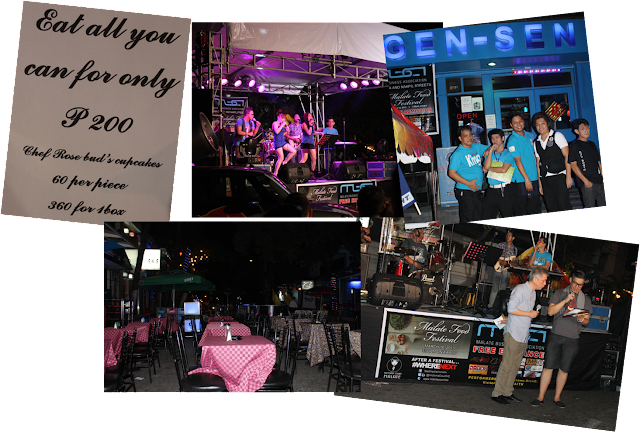 Tables and chairs were set up outside to mingle with other customers and get entertained with live music form guest bands and singers. It was a helluva street party, but would love to see a mardi gras next time, since this a gay place, whatcha think? As you can it was truly a feast for the palate fit for foodies hungry for a variety of food choices. I was hoping for a little more welcoming atmosphere but well it was open to public, though I found some really interesting nooks to comfy yourselves with good food. There is a Korean restaurant tucked in between bars and at the end is a recommendable place for private eating and drinking that serves Filipino cuisines, Dado's. Will definitely visit them back one of this days. popular amongst the many youngsters. Clear exercises will boost fighting capability combined with prepare you finer for an Fighting fight. security plays major role in completely fields. They are sealed and hence engages in not require drinking water to retain their charge.